With the thousands of dog leashes on the market, it may be hard to decide which best suits you in your dog. 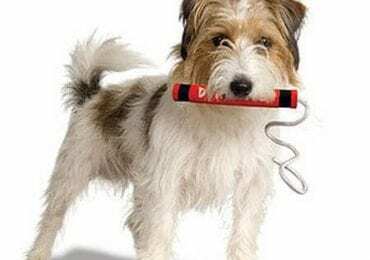 From materials to durability, in the guide below, we rated the best dog leashes on the market nowadays. 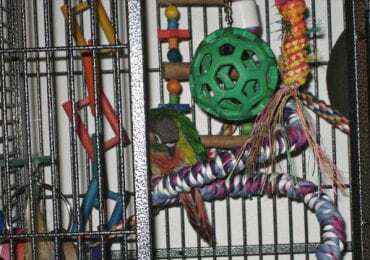 You will find usability suggestions so that you pick the leash that best fits your dog’s size and personality (strong pullers or calm walkers), and also your preferred activity (walking or running). 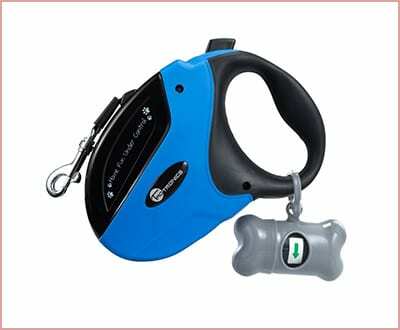 The TaoTronics Retractable Dog Leash is simple to use and comes in two styles: blue or red. It is great for use with small dogs and is made of a durable ABS plastic casing for use in any weather condition. The leash itself has a 110-pound weight capacity and even comes with a complimentary dog poop dispenser. The TaoTronics leash is made of strong nylon that reaches up to 16 feet in length. Overall, it is perfect to use for dogs of up to 110lbs in weight, and even powerful dogs. 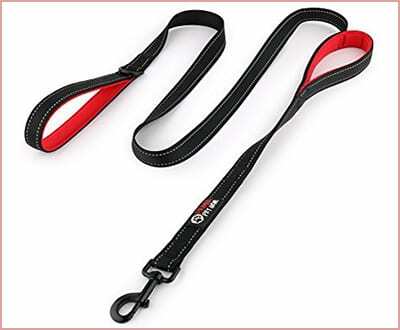 The PetSafe Dog Leash is a sturdy nylon-made leash that can fit a wide range of dog types. 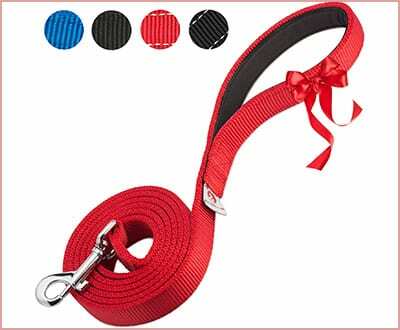 The leash comes in a variety of colors, as well as a variety of widths. Plus, hooking it up to your dog’s collar has never been easier! With this item, owners will have more control over their pets while walking, as it is one of the best dog leashes for pulling. 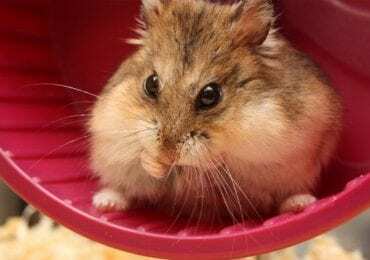 Not to mention, PetSafe offers customer service six days a week for your leisure. The Benicci Dog leash is not only made from nylon but is also padded to provide more comfort to you and your canine. The leash reaches up to six feet, with a strong metal clip on the end. It also comes with a free dog waste bag dispenser. Plus, Benicci offers free customer service six days a week for any problems with your new leash. 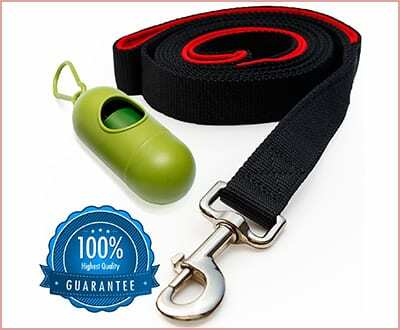 If you have a medium or large dog and are looking for an extra padded leash, going with the Heavy Duty Dog Leash by Paw Lifestyles may be a smart choice. Nearly twice the thickness of ordinary leashes, this item also has a plush handle for added comfort while handling your dog. Plus, Paw Lifestyles offers a 100 percent money back guarantee in case it ever breaks during a walk. If you’re looking for a durable leash, the Blueberry Pet Classic Solid Color Dog Leash is a great choice for your dog. 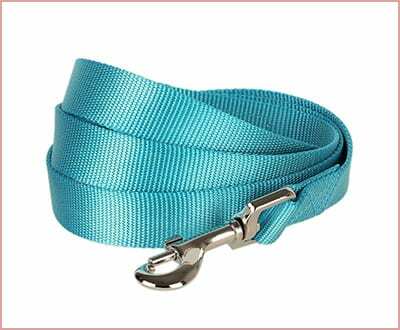 The leash comes in a variety of colors (besides the blueberry hue above) and is five feet long in length. Not to mention that it is machine washable and has a built-in metal collar latch. This leash can be used for walking dogs of all sizes. Looking for a different kind of leash for your canine? The OutdoorMaster Dog Leash is made of a unique bungee material that allows your dog to jog ahead without your losing control of him or her. Due to this elastic leash that reduces effort, you will be able to enjoy longer walks, runs, and hikes with your friend. Plus, you even get a soft padded handle that allows for extra comfort during long walks. 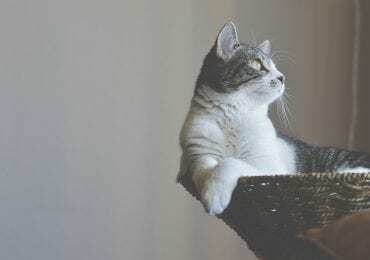 The leash itself can stretch up to 48 inches. OutdoorMaster also offers a 100 percent satisfaction guarantee with every purchase. With this product, Primal Pet Gear comes with two leashes for either handling your dog up close or allowing them some leash freedom on walks. All components are made of durable materials, and the handle is padded for extra comfort for the owners. The company even backs the leash with a one year warranty in case it breaks while in use. The dog leash itself reaches up to six feet to give your dog optimal space and is made of a durable rope material that is guaranteed to last longer than normal leashes. Downtown Pet Supply’s dog leashes are one-of-a-kind and this product is the best dog leash for pullers in our top. 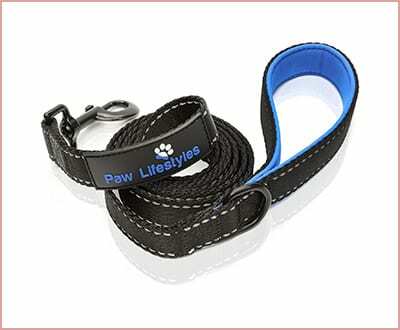 Plus, with its strong collar attachment on the end, you won’t have to replace this leash for a while. 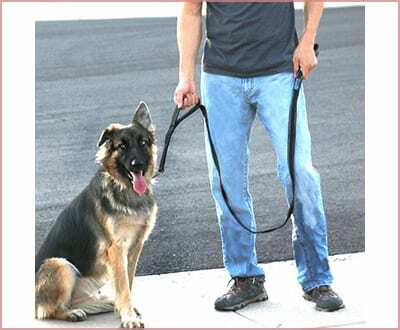 If you are looking for a basic and high-quality leash, then this is just the product for you! 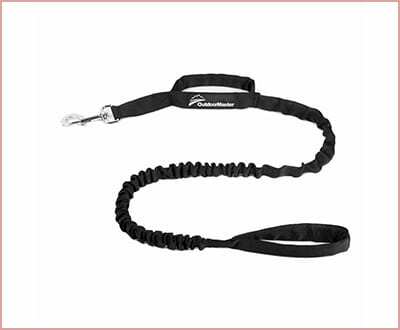 The PetsLovers Premium leash measures six feet and is available in five different colors, some solid and some reflective. You can also choose between one layer of nylon for small dogs or two layers for bigger dogs. The handle is padded for your comfort. Also, if you are not satisfied with the leash, you can get a 100% cash back refund. 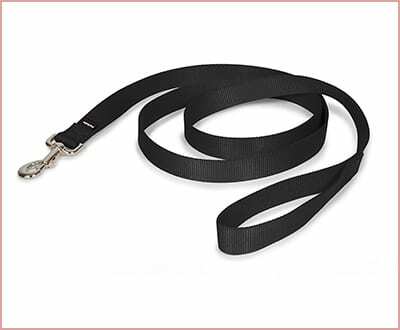 The Max and Neo Double Handle Traffic Leash is made of highly durable nylon that is also soft on your hands. It also features two padded handles, the second of which allows for more control when training your pup. This option also features reflective stitching, which increases visibility during the night. The leash comes with a lifetime warranty, even if your dog chews up the leash. Plus, the company donates each month to the rescues on its list based on the number of leashes and collars sold that month. 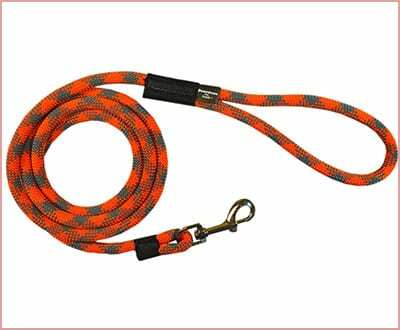 As you saw, we covered various dog leash options, from the best dog leashes for walking, running or hiking, to the best ones for pulling. 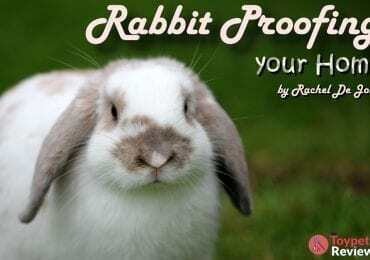 Hopefully, this guide has made it easier for you to choose one, especially as you can now pick the one that most fits your canine’s personality. You might also consider purchasing a dog kennel for easier transportation in certain situations, so take a look at our list of best dog crates too, it could really help. Did we miss your favorite dog leash? Let us know all of your thoughts in the comments below. Editor’s Note: This article was initially published in August 2017 but has been updated to include the latest and best dog leash variants you can get nowadays!